To jump down to where you can search for cheap yoga classes by neighborhood, just click here. The Copley branch of the Boston Public Library will begin hosting free yoga sessions in the Abbey Room within the McKim Building. To get there, enter the McKim Building entrance on Dartmouth St. This is the main entrance directly across from Copley Square. Here’s the Google Maps street view. Then take the stairs to the second floor. From there, if you’re facing towards Dartmouth St, the Abbey room is on your right. Here’s a map of the library. These yoga classes will be offered only at noon on Tuesdays. All classes will be taught by Rebecca Pacheco, yoga instructor and author. Get her book, Do Your Om Thing: Bending Yoga Tradition to Fit Your Modern Life , here. The best part about all of this is that the classes are completely FREE!!!! So take advantage while you can. Not only is there free yoga, but you’ll be getting a nice dose of art as well. The Abbey room is full of paintings depicting the quest and achievement of the holy grail. So, free yoga, art, books, and the always lovely view of Copley Square… sounds like a pretty good Tuesday lunch break! It just may be the “holy grail” of all Tuesday lunch breaks (yay Dad jokes!). Yoga for seniors, West End branch, Tuesdays at 2:45 p.m.
Community yoga, Dudley branch, Saturdays at 11:30 a.m. Adult yoga, Mattapan branch, first Thursday of the month at 6:30 p.m.
You can also view the BPL’s calendar here and you can filter the calendar with the search function on the right. Search ‘yoga’ to see only the yoga class schedule. Or, you can download their calendar here and it will add their yoga class schedule right in to your iCalendar on your Mac or iPhone. Enjoy! When looking for inexpensive fitness classes in Boston, the best deals to be found are yoga classes. There are a good number of yoga studios around the city that offer classes all day long at multiple experience levels. If you’ve never taken a yoga class, often a good place to start is at a “community class”. These sessions are usually discounted – most are $5 – and are good introductions to the practice. If you’re more advanced and just want to find a good place to get your downward dog on, many offer new membership discounts and packages. Long time readers may remember Molly’s two week yogic adventure back in the summer of 2012 at Back Bay Yoga. Keep an eye out on daily deal sites such as Groupon and LivingSocial which often feature deals on yoga classes. Before trying out these classes, be aware of what you’ll need. Some studios offer mats that you can borrow or rent. If thinking about previous users’ germs and sweat gets in the way of your namaste and you’d like to purchase your own, look in the fitness section of stores like Marshalls or TJ Maxx. Especially when you’re starting out, there’s absolutely no reason to spend more than $15-20 on a yoga mat. Also check out those stores for yoga pants and a top to wear – think comfortable and breathable. Again, there’s zero reason to spend $82 on a pair of lycra capri pants no matter how trendy. I will never be convinced otherwise. Karma Yoga Studios Newbury – The drop in rate is $10 for a 1 hour class or $15 for classes that last longer than an hour. New member special = $25 for 2 weeks unlimited. YogaWorks Back Bay – (formerly known as Back Bay Yoga) Drop in rate is $15. New member special = 1 week FREE trial or $25 for 2 weeks. Bikram Yoga Boston Back Bay – Drop in rate is $22. New member special is $20 for 10 consecutive days. Life in Synergy – $22 drop in rate. Health Yoga Life Beach Hill Studio – Drop in rate is $20, or $15 for students with an ID. North End Yoga – $16 drop in rate. New member special is $45 for the first month. Boston Ashtanga Shala – $20 drop in rate. $45 for first month for new members. Shawmut Yoga – $16 drop in rate or $14 with a student ID. New members can pay $25 for 2 weeks of unlimited classes. Gallery 263 Yoga – $10 to drop in on a class. They only have 2 yoga classes per week, at 7:15 pm on Mondays and Wednesdays. The rest of the time it’s an art gallery. The Breathing Room Central Square – Drop in rates range from $10 to $20 depending on the class. New member special is $25 for 1 week. The Breathing Room Harvard Square – Drop in rates range from $10 to $20 depending on the class. New member special is $25 for 1 week. Karma Yoga Studios Harvard – $15 drop in rate, or $12 for students. The rate is even lower as certain times: $10 before noon or after 8:00 pm, and $7 on Sunday nights. O2 Yoga Cambridge – $16 drop in rate or $14 for students. New member special is $25 for 2 classes or $50 for 2 weeks of unlimited classes. Kundalini Yoga Boston – Drop in on a class for $18, or $13 with a student ID. New members can get 2 weeks unlimited for only $25. Bikram Yoga Boston Harvard Square – $22 to drop in on a single class or just $20 for unlimited classes within 10 consecutive days. Art & Soul Yoga – Drop in rates range from $15 to $18 depending on the class. Om Namo Center – $15 drop in rate or $25 for 2 weeks of unlimited classes for new students. C-Town Studio – BabyCakes of Charlestown and Charlestown Yoga merged to form C-Town Studio. It costs $16 to drop in on a class. Students get a 10% discount on all packages. New members can get 2 weeks of unlimited yoga for $30. Asana Charlestown – $16 drop in rate or $13 for students. The Yoga Room Boston – Drop in rate is $17 or $12 with a student ID. New members can get 2 weeks of unlimited classes for $35. O2 Yoga Somerville – $16 to drop in on a class, or $14 for students. New member special rate is $25 for 2 classes or $50 for 2 weeks unlimited. Be. In Union Yoga – Drop in rate is $15 or $13 for students. New members can pay $30 for 1 week of unlimited yoga classes. 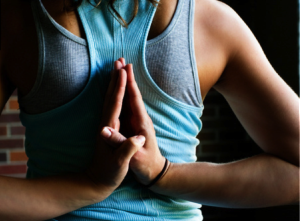 East Side Yoga & Fitness – $15 to drop in on a class or $40 for 2 weeks of unlimited classes. South Boston Yoga – Only $5 for your first class… FIVE BUCKS!!! That’s Wicked Cheap!!!!!! After that they charge a $16 drop in rate or $14 for students. Or new members can pay $25 for 2 weeks unlimited. Open Doors Yoga Studios Dorchester – $15 to drop in on a class, or $10 for students. New members can get 3 classes for $20. Savin Hill Yoga – To drop in on a single class it costs $16, or $12 if you are a student. New members can get 2 weeks unlimited sessions for only $25. YogaWorks Comm Ave – Previously known as Sweat & Soul Yoga. Drop in for $15. New member can take advantage of a 1 week FREE trial or pay $25 for 2 weeks. StudioU Boston – $16 to drop in on a class. New members get a 1 week free trial period. Core Power Yoga Boston – Drop in rate is $23 or $18 for students. Acorn Yoga – $20 to drop in on a single class or pay $20 to get 2 weeks unlimited. Obviously you go for the 2 weeks here, right?! Coolidge Corner Yoga – $16 drop in rate or $13 for students. New members can get 30 days of unlimited classes for just $30, BOOM! Brookline Iyengar Yoga Studio – $20 to drop in, $15 for students. Then get 50% off your second class. Or, new members can pay $40 for any 4 classes within 3 weeks. Sadhana Yoga Everett – Only $10 to drop in on a class, or $8 if you are a student. Yoga in Me – $15 to drop in on a single class or if you buy 5 or more classes at once you’ll get them for just $12 each. Call or email yim@yogainme.com to make an appointment. New England Movement Arts – Prices range from $10 to $25 for a single class, depending on the class. Yoga Moves – $18 drop in rate. You get your 2nd class for FREE after you pay for the 1st class. So basically you get 2 classes for $18. Blissful Monkey – $15 to drop in on a class, or just $10 if you drop in at lunch time. The student rate is $12 per class. New members can get 2 weeks of classes for $25. JP Centre Yoga – $10 to drop in on one hour classes or $16 for longer classes. Students can drop in for $14. New members can pay $25 for 2 weeks unlimited. Pradhana Power Yoga – $17 drop in or $15 for students. New members can get 2 weeks for $25. Laureen Ruekner’s Iyengar Yoga – $10 for your first time drop in. $20 for all drop ins after that. Healing Tree Yoga & Wellness Center – $14 to drop in, $12 for a student. Get 1 week unlimited for $20. StudioU Newton – New members can get a 1 week FREE TRIAL. After that you can drop in on a class for $16. Artemis Yoga – Drop in classes are $17. New members can get the introductory pass special, 30 days of unlimited yoga, for $29. The 30 days start when you take your first class. Inner Strength Studios – New members can get 1 week of unlimited classes for free. Drop in rate after that is $17 or $15 for students. 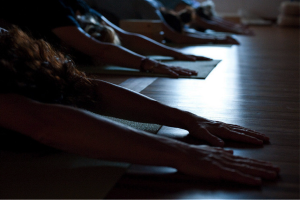 Prana Power Yoga Newton – $18 to drop in, $14 for students. Samadhi Integral Life Practice Center – Drop in rate is $20, or $18 with a student ID. *All prices as of December 10, 2015. Check individual studio websites for more details. Keep in mind, many of the discounted classes are cash-only. If you’ve tried any of the yoga studios listed above please leave a review of it in the comment section below. Or if a price has changed you can also leave that in the comments section or email me at brian@wickedcheapboston.com. Or if you have a favorite Boston yoga studio that is NOT listed and think it deserves to be, then let me know. Or if you’ve used this page to find a new class you’ve never tried before and are thankful for this list… a nice comment below would be much appreciated, or even better a tweet or Facebook share with a link back to this post would be super awesome! Thanks for visiting Wicked Cheap Boston and enjoy your yoga classes!! !